The issue of tongue-tie (ankyloglossia) is becoming more common in the pediatric population. To address this issue, Dr. Rosen discusses the protocols necessary to evaluate tongue-tie and what effect the different grades of tongue-tie have on the developing child. He also covers the different approaches to correction of the tongue-tie, when surgical intervention is necessary, and when more conservative procedures are appropriate. The correction protocols for the palate are also covered in instances when tongue-tie is present. 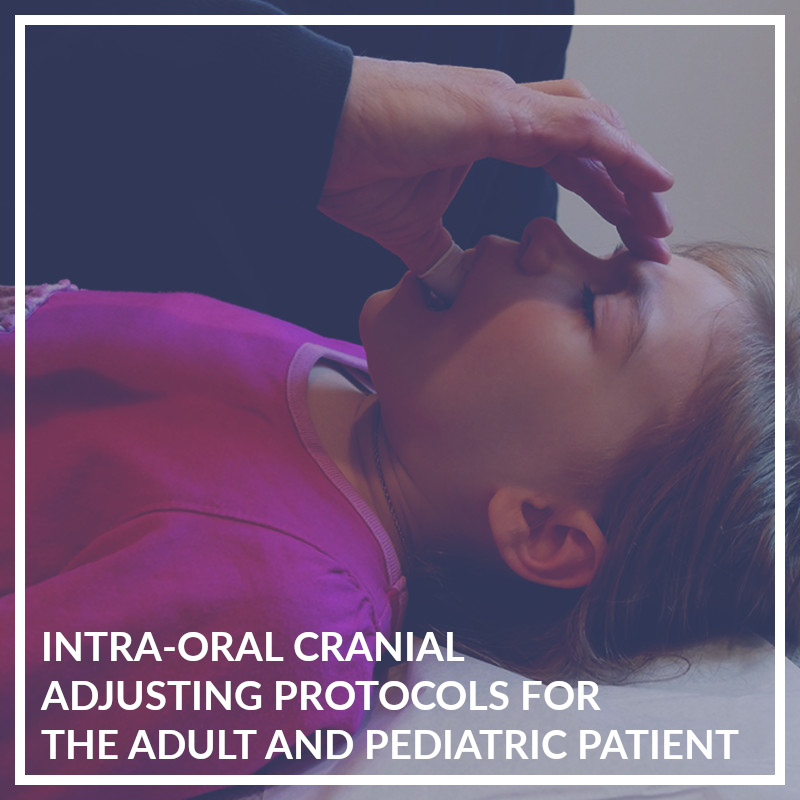 In this DVD Dr. Rosen demonstrates the protocols for evaluating the palate and its relationship to cranial mechanics and tongue-tie. Determining proper palate anatomy and physiology is crucial to evaluating the proper function of the entire cranium. Understanding palatal mechanics and anatomy allows the practitioner to determine how the cranial sutural and dural meningeal system is working. The effect of the palatine and maxillary bones on cranial bone growth, functional issues (i.e. nursing, feeding and speech) and the neurological development of the child are of paramount importance. Correction protocols for specific palate distortions are demonstrated as well as how these distortions affect the rest of the cranium. A second disc contains a PDF workbook for reference. 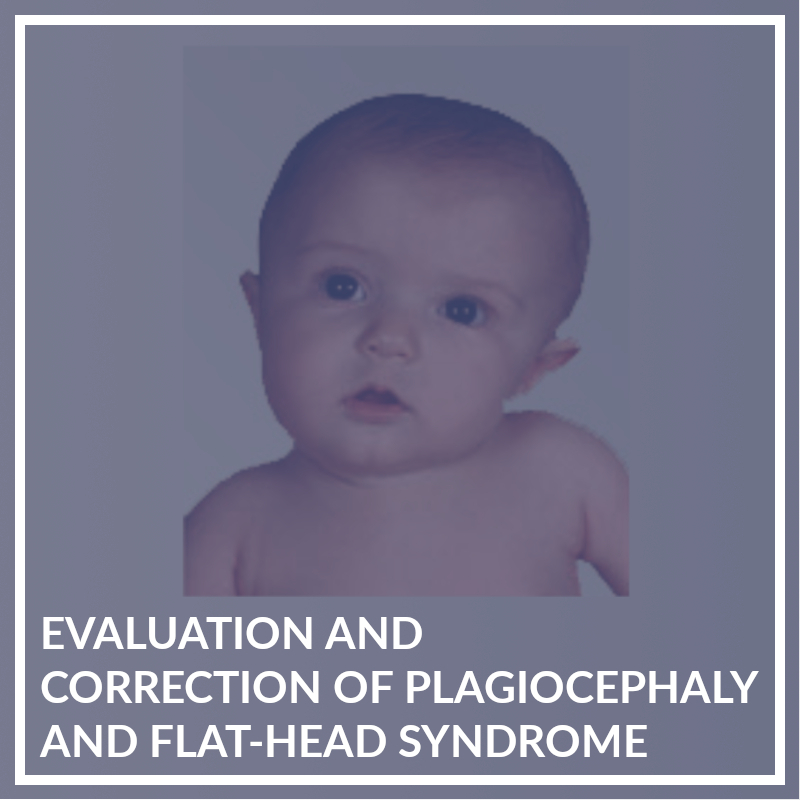 This DVD covers the clinical evaluation and corrective protocols for Plagiocephaly, Brachycephaly, Scaphlocephaly and Flat-head syndrome. Dr. Rosen discusses the causes (both extrinsic and intrinsic), the variations, and the treatment protocols for these cranial distortions. The specific cranial adjusting protocols addressed in this DVD are discussed and demonstrated in greater detail in Dr. Rosen’s book Pediatric Chiropractic Care and in other DVDs that can be found on this website: Intra-Oral Cranial Adjusting Protocols for the Adult and Pediatric Patient, Clinically Applicable Cranial Techniques for the Adult and Pediatric Patient and Correcting Individual Cranial Bone Imbalances (intra-oral) and TMD Patterns. This DVD affords the practitioner a valuable tool set to evaluate and work with patients with Plagiocephaly, Brachycephaly, Scaphlocephaly and Flat-head syndrome. A PDF workbook is included on the second disc. We are excited to be launching our 2nd Edition of our book Pediatric Chiropractic Care. We have completely revised Chapter 3, now called The Pediatric Exam, to give the practitioner a more concise step-by-step approach to evaluating the pediatric spine and nervous system. We have also added several charts, a more detailed index and improved explanations of spinal and cranial evaluation and adjusting protocols. This comprehensive book is a complete guide to pediatric spinal and cranial evaluation and adjusting procedures. 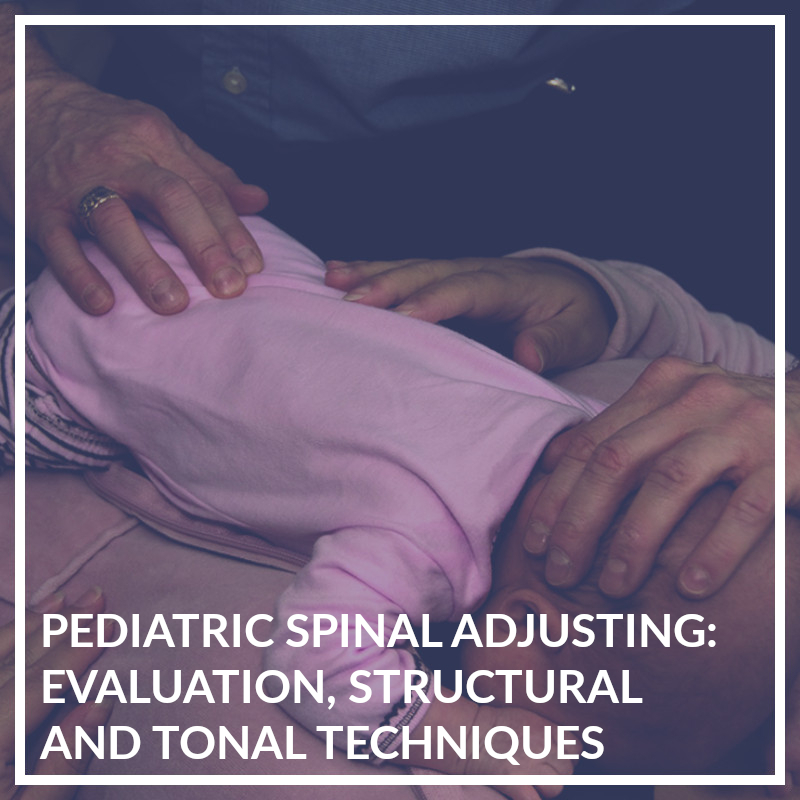 It can be used to supplement your current practice paradigm or as a guide to develop an effective and comprehensive approach to pediatric chiropractic care. There are over 200 pages filled with pictures, charts, diagrams and step-by-step instructions for dozens of spinal and cranial adjusting and evaluation techniques. 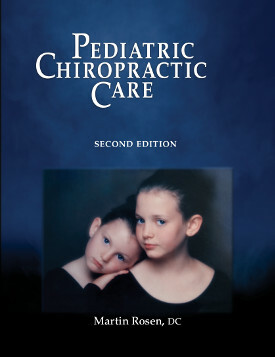 If you are new in practice or a seasoned chiropractor this book will be a valuable edition to your pediatric practice. In this 4-disc set you will learn the art of intra-oral cranial adjusting. These techniques are some of the most specific and effective ways to make cranial corrections. Intra-oral corrective protocols will often succeed when extra-oral corrections are not making the desired changes. Specific corrections are included for subluxations of the occiput, temporals, frontal, sphenoid (including the sphenobasilar, sphenoid wing and spheno-maxillary suture) and palate. 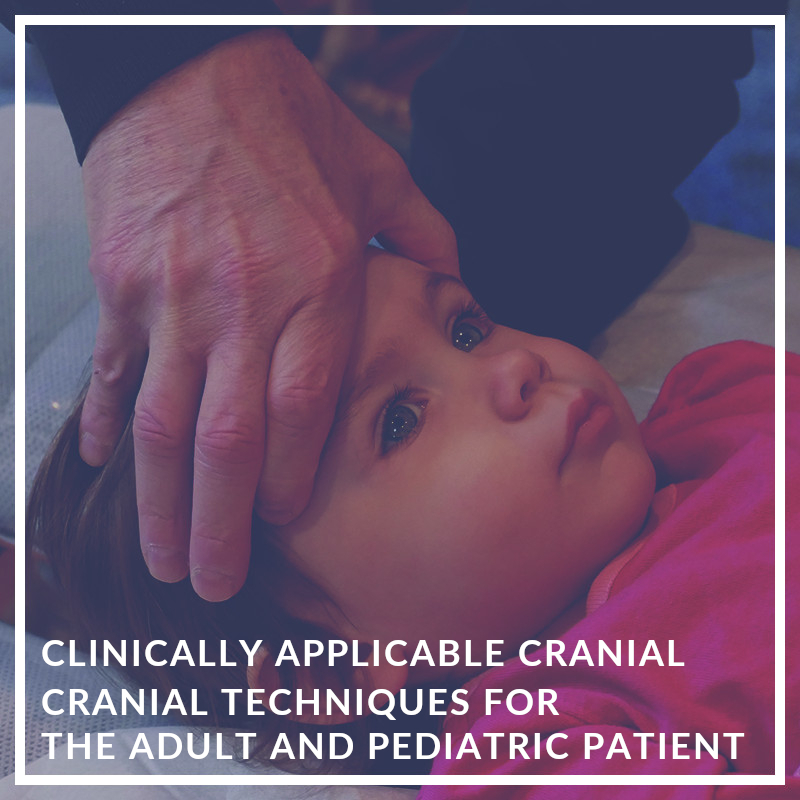 Also included are external cranial finishing/balancing techniques and cranial facial sutural protocols to balance the cranium and restore normal cerebrospinal fluid movement after intra-oral corrections. Demonstrations and explanations are done with lecture and PowerPoint support on both a dry skull and live model to help clarify contact points, vectors of correction and specific adjusting procedures. A PDF workbook is included on the third disc. If you wish to take your cranial adjusting skills and practice to the next level, this DVD set can play an integral part in reaching your clinical goals. This two DVD set covers the examination procedures for the pediatric patient from infant to pre-teen. Disc 1 explains and demonstrates the chiropractic and neurological examination protocols for the preambulatory infant. It includes palpation, reflex testing and chiropractic evaluation procedures necessary to assess the infant's spine. This evaluation will help the chiropractor to create a functional baseline and determine the major or primary subluxation pattern. 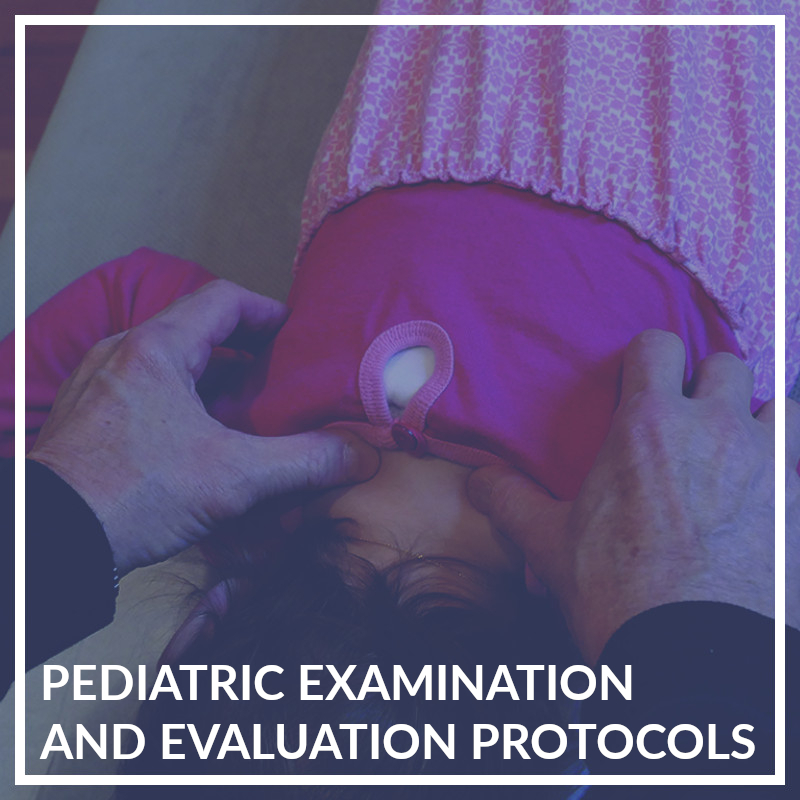 Disc 2 demonstrates the evaluation protocols for the toddler to pre-teen using chiropractic and neurological indicators to create a practical clinical assessment model. Disc 3 contains a companion PDF workbook. The vagus nerve has been shown to be involved in many physiological functions including autonomic nervous system balance, digestion and elimination, heart rate, seizure activity, respiration, and emotional stability. It contains motor and sensory fibers and has the widest distribution of any other nerve in the body. If it is impeded along it course, either by traction or compression forces, its ability to transmit impulses is altered. Evaluation of the structures, spinal vertebra, dural meningeal system and the fascial system through which it passes is crucial in determining and facilitating normal function. 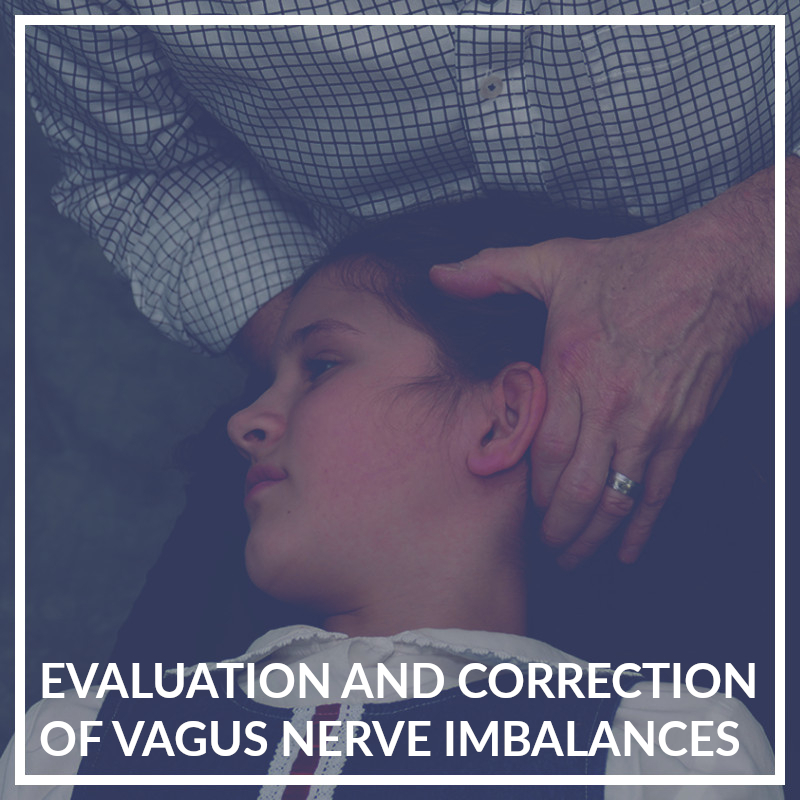 In this 2-disc set Dr. Rosen discusses vagus nerve anatomy and physiology, its impact on overall health, and how to evaluate and correct the major biomechanical imbalances (subluxations) that can interfere with the vagus nerve's function. These corrective procedures include: atlas, occipital and temporal bone corrections, clavicular and first rib subluxations, fascial and muscle reflex balancing (diaphragm and psoas muscle) and soft tissue reflex indicators. These procedures are demonstrated and explained for both the pediatric and adult population. If you want to be more effective and efficient in your practice this DVD is a must. The second disc contains a PDF workbook. In this 3-DVD set you will learn specific cranial adjusting protocols for a variety of adult and infant symptomatic presentations as well as techniques to enhance their overall state of well-being. Techniques to reduce inflammatory processes, work with sinus issues, hyperactivity, attention issues, balance and coordination challenges, sympathetic and parasympathetic imbalances are included, as well as cranial adjusting protocols to enhance vitality and cerebrospinal fluid motion. Each technique protocol is taught in a lecture and hands-on demonstration format. They are designed to be implemented immediately into your practice regardless of your present spinal technique adjusting paradigm. A correlation section and PDF workbook is included to allow you to reference which techniques best suit your patient's needs and your current skill level. In this 3-disc set (2 DVDs and a CD with PDF workbook) Dr. Rosen discusses the neurology behind acute pain situations and demonstrates specific techniques to assist in controlling the aberrant neurological and hormonal responses present in these acute situations. 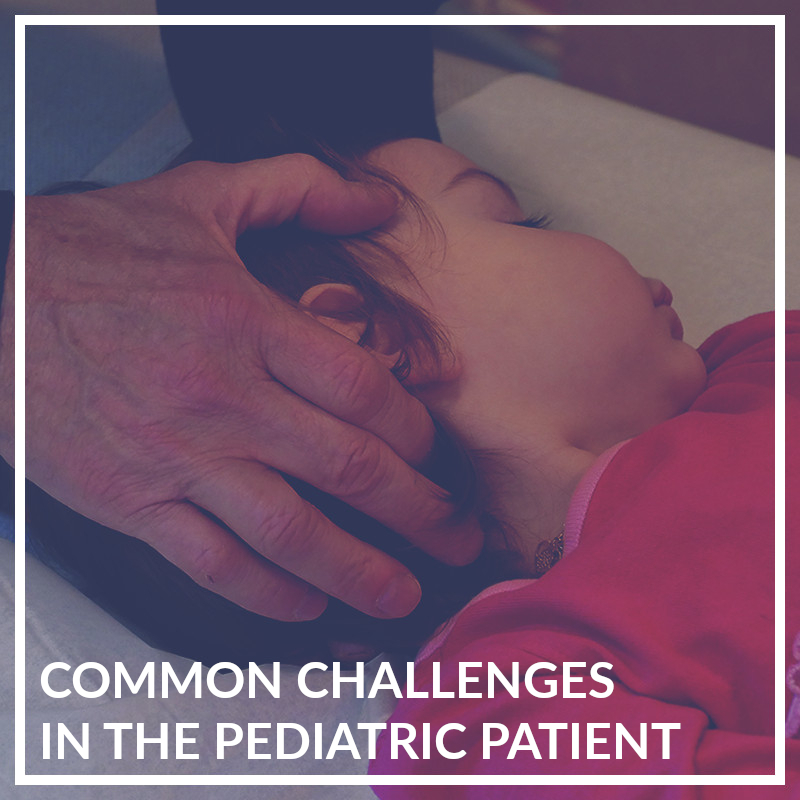 Common challenges in the pediatric patient include teething, colic/digestive issues, ear infections and more. NOTE: These techniques are not a treatment for the individual condition, but offer the chiropractor a way to access the CNS in order to reduce the neurological irritation/imbalance present with these issues. In this 3-disc set (2 DVDs and a CD with PDF workbook) you will learn to evaluate and adjust the pediatric patient to determine the most effective and efficient way to restore proper neurological and structural balance. Since brain growth, synaptic development, imprinting and susceptibility to input are greatest in the first two years of life, a specific skill set is necessary when evaluating and adjusting the pediatric patient. There are numerous techniques and evaluation protocols demonstrated in this DVD set to address the specific needs of this population including structural and tonal adjusting methodologies.